"I hated every minute of training, but I said, 'Don't quit. Suffer now and live the rest of your life as a champion."" 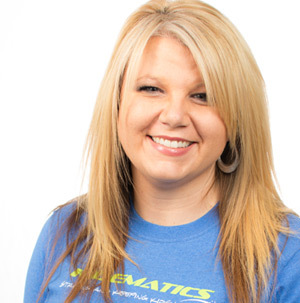 Meghan is the Owner of Kidematics LLC and is a physical activity specialist for youth and adult populations. 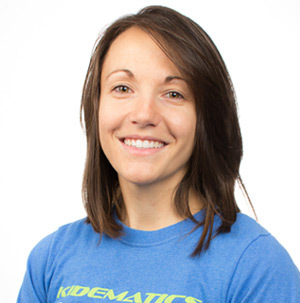 She has taught for several years in the K-12 setting teaching physical education and health, while also administering and designing fitness programs for youth and adults in the school setting. Meghan has a Masters Degree in Technology and an undergraduate degree in Physical Education and Health. Her PhD work focused on human movement and the development of programs that incorporate physical activity both in and beyond the school day schedule. Kidematics has been administering programs locally in Morgantown, WV at fitness facilities and Monongalia County School settings. The programs have been successful in promoting physical activity and positive social behaviors of the youth enrolled. As a young CEO, Meghan desires to take Kidematics into new settings and continue to research and grow the programs and materials associated with the business. "Today I shall behave as if this is the day I will be remembered." Cari partnered with Dr. Phillips in developing the social lessons and generalization activities as well as the recipes and healthy substitutions in the Kidematics Curriculum. Ms. Murral has her master’s degree from WVU in special education and her bachelor’s degree in elementary education from Waynesburg University. Ms. Murral specializes in social skills interventions and behavior modifications. She has 11 years of teaching experience at all elementary levels and with students diagnosed with disabilities such as autism, ADHD, Asperger’s Syndrome, schizophrenia, Down’s Syndrome, and Oppositional/Defiant Disorder. Ms. Murral is passionate about teaching all children appropriate social skills in order to create productive members of society who can effectively collaborate with others and problem solve.